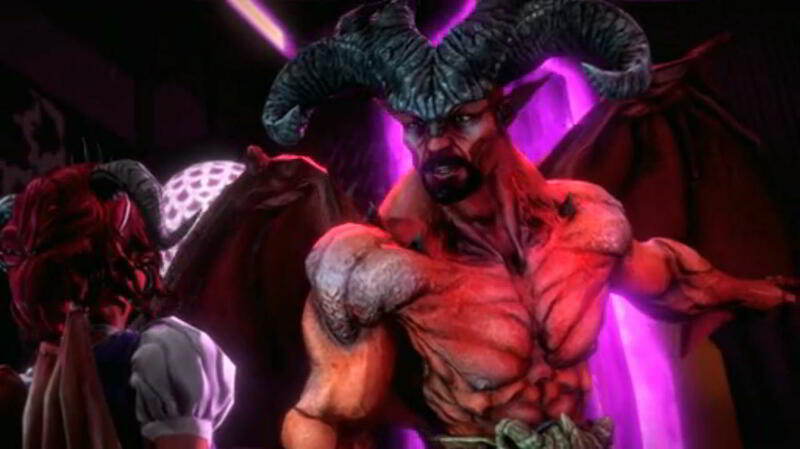 Gat Out of Hell is just as crazy fun as you would expect from a Saints Row game set in Hell. In interviewing Steve Jaros last week, the Creative Director from Volition, I couldn't help but be caught up in his enthusiasm for his latest creation. 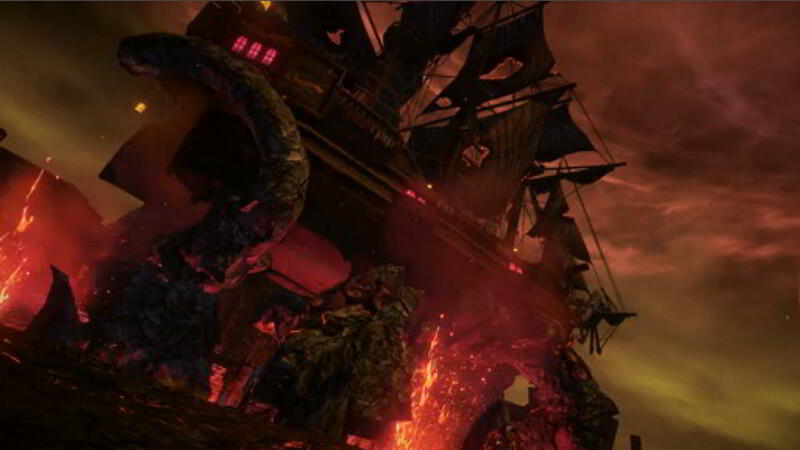 Gat Out of Hell sounds like an amazing blend of absurdist story-telling and open-world exploration. 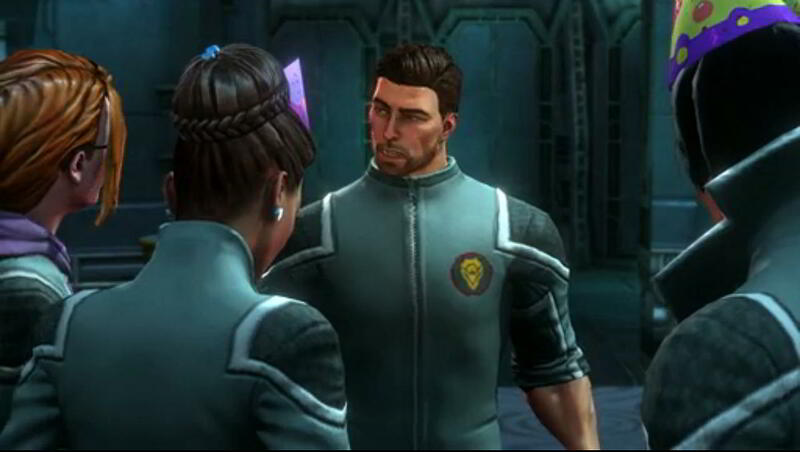 I wasn't able to make it to the Volition panel at PAX Prime 2014 but I did get a chance to play the demo they had on the show floor. Without the context of story or any introduction at all really, the experience of playing around in the city of Hell was hella fun (sorry). 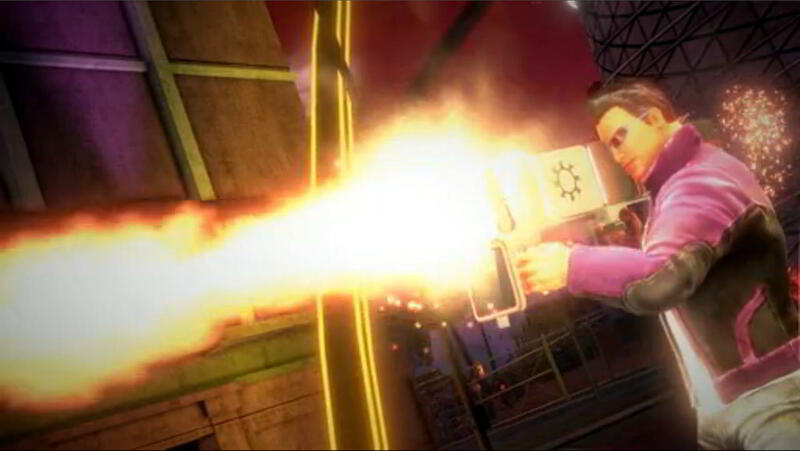 The model for Johnny Gat is quite hilarious - he looks like a purple-sequined Elvis impersonator fallen from heaven. In place of the jumping and flying mechanics from Saints Row IV, large angel's wings sprout from your back. Flying is less of a glide and more of a flight sim, complete with inverted flight stick controls. 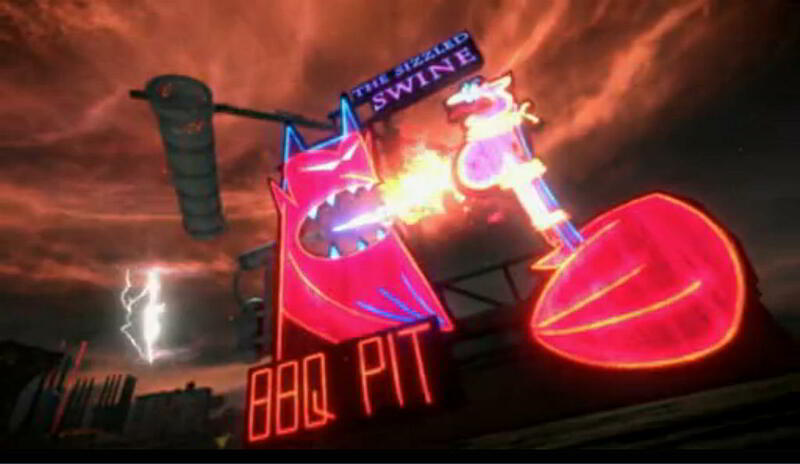 In the open world of Hell, there's a bunch of skill points you can collect just like in SR4, but there's also a few you need to grab by flying through a series of checkpoints in a brief minigame. Knowing my completionist self, I'll have fun trying to grab every one. The map of Hell is dotted with tons of activities and completing them will allow Gat (or Kinzie) to control that portion of the city. In chatting with Steve Jaros at the Volition booth, that's how you'll progress in Gat Out of Hell in lieu of story missions. Once you control a certain percentage of the city, you'll get the attention of Satan and cue the massive musical number Jaros discussed in the interview here. Grab even more, and you'll fight Satan in a huge boss battle. Jaros even promised a special epilogue he's especially excited for players to watch, but that's only accessible if you 100% turn the city of Hell to purple under the control of Third Street Saints. Gameplay-wise, even though the setting is completely crazy it still plays very much like a Saints Row game. There are vehicles to hijack and drive, you shoot shuffling dead folks, and gun-wielding demons come to kill you if build up too much notoriety. The weapons you have a pretty crazy, including a frog-flinger that works like a grenade launcher, and the armchair weapon Jaros mentioned is pretty dang fun. 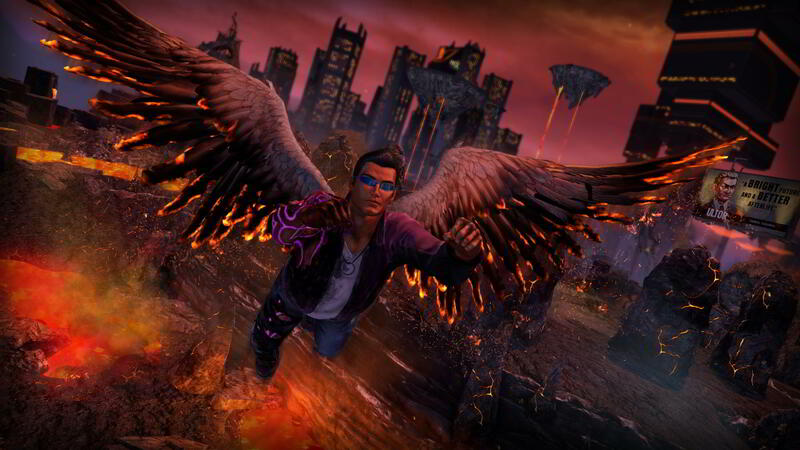 Look for Saints Row: Gat Out of Hell for PC, Xbox One, 360, PS3 and PS4 on January 27th 2015 for $19.99.